Members of the House Appropriations Committee are threatening to withhold funding for the International Agency for Cancer Research (IARC), whose methods have been under fire recently not only from Congress, but also in the courts. IARC is a member of the World Health Organization, which receives some funding from U.S. taxpayers via the National Institutes of Health (NIH). A new bill put in play last week from House appropriators tells the NIH that it cannot transfer funding to IARC unless the center increases the transparency behind its cancer research and adds other reforms. 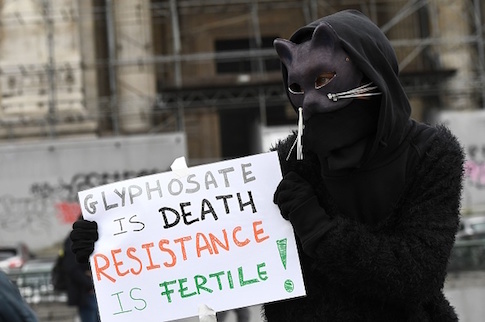 The move comes amid a flurry of activity related to IARC's controversial research in 2015 culminating in a decision to label the chemical glyphosate as a probable carcinogen. That label carries enormous implications because glyphosate is the key ingredient in the herbicide RoundUp, which besides being a popular home and garden retail product is also used in large-scale farming. For example, this Monday a class action trial begins in California in which hundreds of people are claiming RoundUp gave them cancer, and IARC’s research is certain to play a key role. In a separate legal matter, a federal judge also in California last week upheld an injunction preventing the state from requiring cancer-warning labels on all products containing glyphosate. Judge William Shubb in the Eastern District of California declared, "the overwhelming majority of agencies that that have examined glyphosate have determined it is not a cancer risk." Shubb's ruling did not declare IARC’s research as fundamentally flawed or biased. California's Prop 65 requires the warning labels when research shows an agent to be cancer causing, but only when the evidence is "factual and uncontroversial." Shubb was upholding the injunction on the grounds that the other research that had reached an opposite conclusion from IARC showed that the agency's conclusions were not a settled fact. Also last week, the House Science, Space and Technology Committee sent an invitation to IARC asking that the agency's new director, Dr. Elisabete Weiderpass, to come and testify before the committee in July. The committee sharply criticized the agency's previous director, Dr. Christopher Wild, and the IARC cancer research projects, collectively known as the Monograph Programme. "Unfortunately, given the information collected and evaluated by the Committee, the way the Monograph Programme operated under Director Christopher Wild was an affront to scientific integrity and bred distrust and confusion in the marketplace and amongst government regulators," the committee said. Some in the broader scientific community have criticized IARC's methods as well. The American Council on Science and Health, self-described as a "pro-science consumer advocacy organization," issued a 2017 staff report saying that, "IARC has continued to apply its classification system largely as if the last half-century of scientific research hadn’t happened, completely ignoring issues of dose and exposure that are fundamental to risk assessment as it has been practiced around the world for several decades." The same report said many of the agency's investigations have "become highly politicized, with several of those associated with the [glyphosate] review campaigning in the EU to have glyphosate banned and putting themselves in open conflict with regulatory agencies that have done more extensive and scientifically rigorous reviews." Such alleged conflicts of interest are also one of the areas of reform congressional appropriators are asking for in the new bill. Representatives with IARC have not responded to a request for comment, but this article will be updated should one be provided.